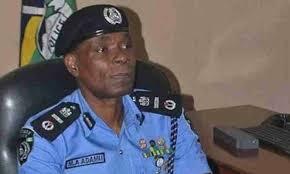 The acting Inspector-General of Police (I-G), Mr Mohammed Adamu has ordered the decentralization of operations of the Special Anti Robbery Squad (SARS) unit. Amen Super News reports that before the current development, operations of SARS were centralized at the Force Headquarters. AMEN SUPER NEWS also recalls that recently the SARS operations were reorganized following alleged unethical conduct by personnel of the unit. The police boss said henceforth the SARS unit in the force headquarters, would be under the Deputy Inspector-General of Police in charge of Force Criminal Intelligence and Investigation Department (FCIID). He said that the DIG FCIID and CPs would be held laibe for any professional misconduct resulting from the operations of the units in their commands.